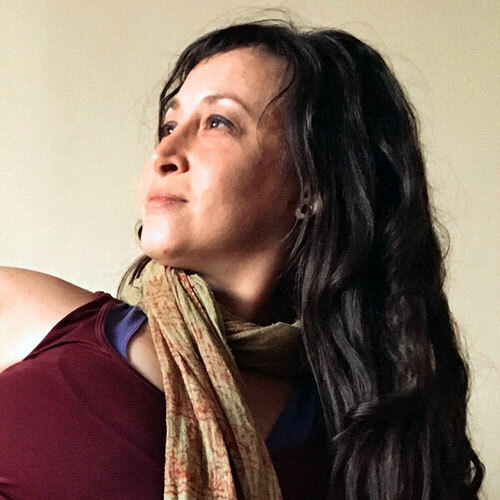 Faern's passion is sharing a challenging, breath-centered practice that guides others toward deep self acceptance. She thrives on helping people do things they want to try or maybe think they cannot do. This does not mean fancy poses and sequencing -- this means a simple, clear, and direct method of Vinyasa yoga. Many people have inspired Faern's mat practice. Some are Ananda Moran, Les Leventhal, Ana Forrest, and Janet Stone. Her trainings include 200-Hour with YTSF and 300-Hour with Stephanie Snyder. Faern's lighthearted approach makes her dynamic style fun, informative, and accessible. In her classes you will gain greater self confidence, a new view of how your body works, and a lighter eye on life. Expect to try new things, sweat, and connect to devotional gratitude.